A Florida resident is a student (dependent or independent) who has established and maintained legal residency in Florida for at least twelve months preceding the first day of classes of the term for which residency is sought. Residence in Florida must be as a bona fide domicile rather than for the purpose of maintaining a residence incident to enrollment at an institution of higher education. To qualify as a Florida resident for tuition purposes, the student must be a U.S. citizen, permanent resident alien, or in legal status as determined by U.S. Citizenship and Immigration Services (USCIS). In-state status is only for those residents who reside in the state permanently with established legal domicile in Florida. Permanent Florida residency is demonstrated by the absence of ties to any other state and establishment of a bona fide domicile in Florida. A student who enrolls in a Florida postsecondary educational institution as an out-of-state resident and continuously enrolls in a Florida institution will not normally meet the Florida residency requirement for in-state tuition regardless of the length of time enrolled. Students who depend upon out-of-state parents for support are presumed to be legal residents of the same state as their parents. Students are either dependent or independent. In certain cases, a student may qualify for temporary in-state status by qualifying under an exception category. Please note: Under Florida law it is possible for U.S. Citizens with undocumented parents/guardians, lawful Permanent Residents, and certain non-U.S. Citizens to be classified as Florida residents for tuition paying purposes. In addition, undocumented and Deferred Action for Childhood Arrivals (DACA) students who graduate from a Florida high school may qualify for a waiver of out of state tuition fees. Other persons are eligible only if they qualify by one of the exceptions, as provided in s.1009.21 Florida Statutes. All students who wish to claim Florida residency for tuition paying purposes must complete the residency declaration for tuition purposes form as part of the application for admission process. For all applicants claiming Florida residency for tuition purposes, please note that your residency documentation will only be reviewed if you are offered admission into the university. Depending upon the initial review of your residency declaration form, additional documentation may be required to support your request for residency for tuition purposes. In accordance with S1009.21 Florida Statutes, Rules 6A-10.044 and 6A-20.003, Florida Administrative Code, and the Board of Governors Residency Regulation, the College of Graduate Studies is required to adhere to specific procedures in making determinations for residency for tuition purposes. When you complete your graduate application online, it will be required for you to also complete the residency declaration. It is important to upload all of the necessary items to support your claim for Florida residency for tuition purposes at that time. If you are offered admission into the university your residency declaration will be reviewed at that time. Until such time, your residency status will remain classified as PENDING. This does not affect the processing or review of your application by the department to which you have applied. Once your residency is reviewed by our office, if the residency declaration is incomplete, or if additional documentation is required, you will be notified via email of the necessary documentation needed to complete your request for residency. Additional documentation may be required to prove your claim of Florida residency for tuition purposes after the initial request has been made and documentation submitted. All documentation will be requested via email to the email account listed on your graduate application and your university generated Knights email account. UCF Graduate Studies reserves the right to require additional documentation as seen necessary to accurately determine the residency status of a student. Once a determination is made on your residency status you will be notified via email and your residency status will be updated in your myUCF account. Residency Reclassification is for a student who has been classified as a “non-resident for tuition purposes” at the time of initial admission to the University and wishes to be considered for reclassification as a “Florida resident for tuition purposes” for a subsequent semester. Staff in the College of Graduate Studies cannot make exceptions to the rules set forth by the state nor can staff make exceptions based on financial hardship or extenuating circumstances. Under Florida law, there is a difference between being a “Florida Resident” and being a “Florida Resident for Tuition Purposes”. The burden of proof is on the student to present clear and convincing documentation that supports permanent legal residency in Florida for at least 12 months. Living in Florida for a year or longer DOES NOT automatically qualify an applicant for in-state tuition (Florida residency for tuition purposes). To be considered a “Florida Resident for Tuition Purposes”, an applicant must prove that the move to Florida was permanent and not temporarily as a result of your application and admission to UCF. Therefore, despite the length of time you attend UCF, you may never qualify for “Florida Residency for Tuition Purposes”. In accordance with S1009.21 Florida Statutes, Rules 6A-10.044 and 6A-20.003, Florida Administrative Code, and the Board of Governors Residency Regulation, the College of Graduate Studies is required to adhere to specific procedures in making determinations for residency reclassification. Complete a Residency Reclassification Application and Affidavit and submit with required supporting documentation to the College of Graduate Studies. Please find instructions and helpful notes on the first page of the form. Send to: by mail UCF College of Graduate Studies, 4000 Central Florida Blvd., PO Box 160112, Orlando, FL 32816-0112, deliver in person (Millican Hall 230), or by scanned email to: GradReclass@ucf.edu. The deadline for submitting a residency reclassification request is the last day of registration for the applicable term of the semester in question. Each residency reclassification request is individually reviewed and a determination is made. This determination will be emailed to you as soon as it is made. If the form is incomplete, or if additional documentation is required, you will be notified by your campus email (Knights email) as to what must be done to complete the residency request process. Inquiries regarding residency reclassification should be directed in writing to the College of Graduate Studies’ Residency Reclassification Department at gradreclass@ucf.edu. Please note that the College of Graduate Studies cannot advise students regarding their ability to reclassify in a future term. In certain circumstances, Florida Statute 1009.21 permits certain students to be classified as Florida residency for tuition purposes. Verification through supporting documentation is required that a student meets by qualification or exception. A student should only request residency classification using one of these categories if they do not qualify as either an independent or a dependent student. 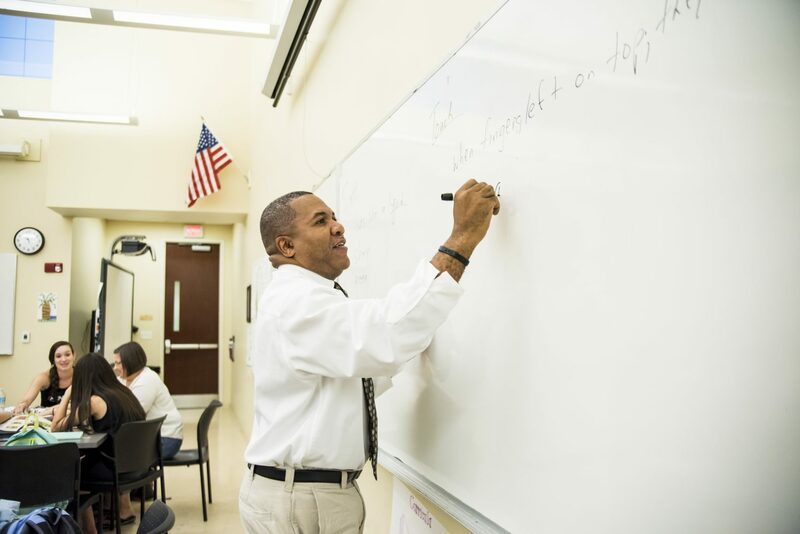 Persons previously enrolled at a Florida state postsecondary institution and classified as a Florida resident for tuition purposes and transferring to another Florida state postsecondary institution within 12 months of the previous enrollment. Persons previously enrolled at a Florida state postsecondary institution and classified as a Florida residents for tuition purposes at a Florida public institution of higher education, but who abandoned Florida domicile and has re-established Florida legal residence. Active duty members of the Armed Services of the United States and their spouses and dependent children, and active drilling members of the Florida National Guard. Active duty members of the Armed Services of the United States and their spouses and dependents attending a Florida College System institution or state university within 50 miles of the military establishment where they are stationed, if such military establishment is within a country contiguous to Florida. Full-time instructional and administrative personnel employed by state public schools and institutions of higher education and their spouses and dependent children. Active duty members of the Canadian military residing or stationed in this state under the North American Air Defense (NORAD) agreement, and their spouses and dependent children, attending a Florida College System institution or state university within 50 miles of the military establishment where they are stationed. If you believe that the decision regarding your residency for tuition purposes for initial residency or residency reclassification was made in error, you have the right to appeal. The appeal is presented to the University Residency Appeals Committee. The University Residency Appeals Committee abides by the Florida State Statutes on residency for tuition purposes, including deadlines. The decision made by the University Residency Appeals Committee for Graduate Students is final and there are no additional levels of appeal. If you decide to enter the appeals process, all communications concerning your case must remain in writing.